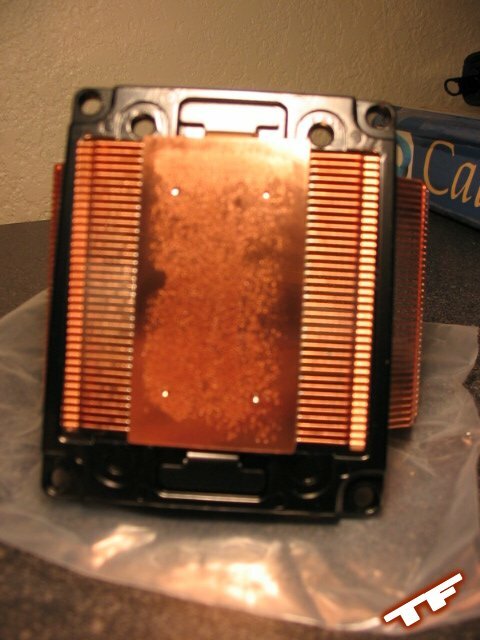 Heat-sinks are a product often skimped on for builders needing to cut corners to stay within a budget, especially heat-sinks retailing at $20+. 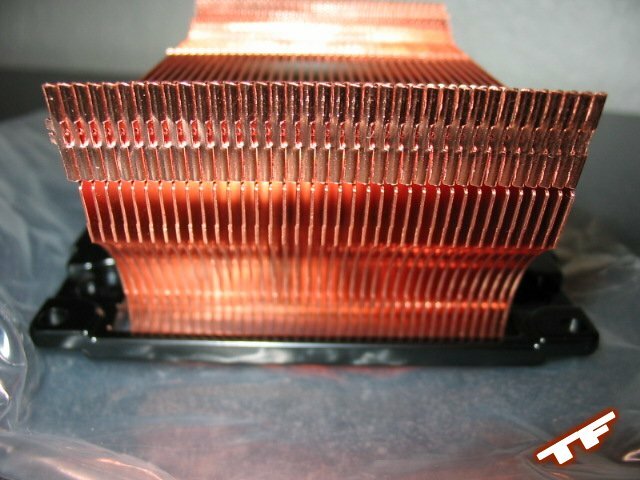 ThermalRight, widely regarded as the king of heat-sink manufacturers, is also known for charging $40+ for the majority of their cooling products. 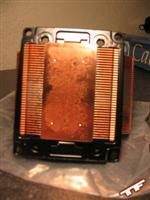 In this review, I look to see if high priced heat-sinks can justify their hefty price-tag with performance. Today I review the ThermalRight SLK-947U heat-sink unit. 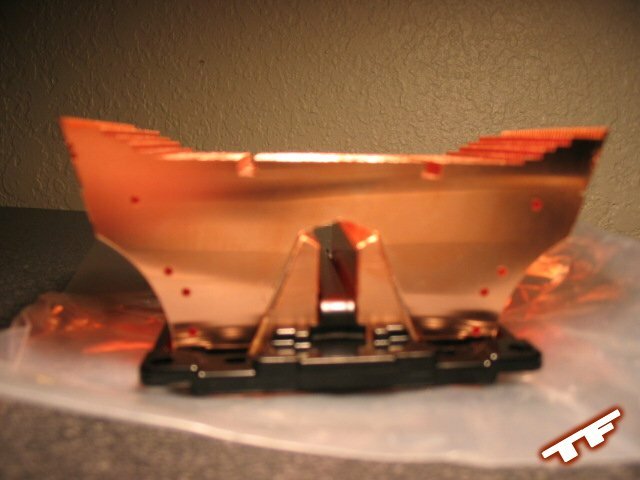 ThermalRight is known for their impressive cooling products, not for their flashy product packaging. 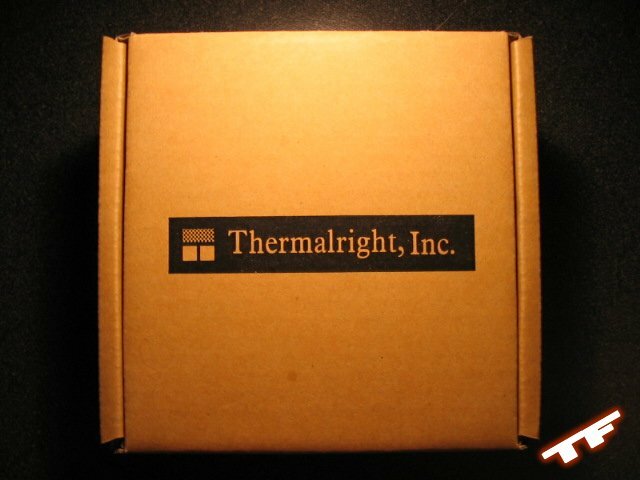 That being said, the 947U comes packed in a brown cardboard box bearing the ThermalRight logo and a legend of ThermalRight coolers (the cooler contained inside is indicated by a blue sticker next its name). Curved Fins.. ..all 38 of them. 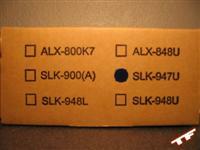 You may have noticed the U in the SLK-947U name. The U stands for universal, meaning that the 947U is compatible with both Intel's Socket-478 and AMD's Socket A, which is never a bad thing . 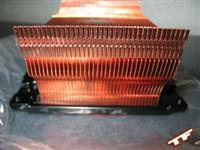 The 947U is an all copper heat-sink composed of thirty-eight fins and an almost perfectly polished base. 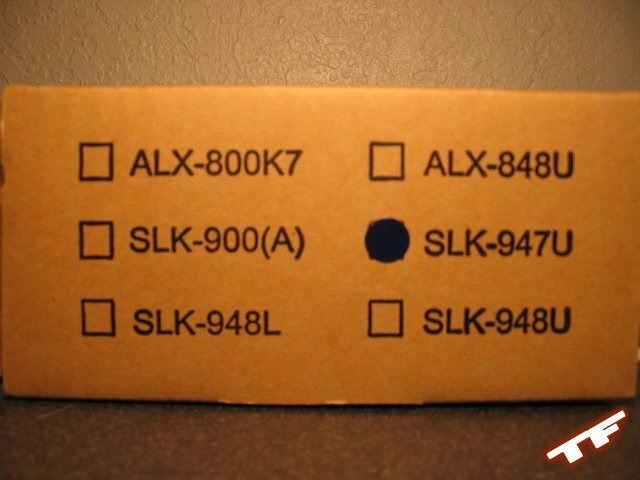 Unlike its predecessor, the SLK-900U, the 947U features curved fins; this is to help it fit more comfortably on motherboards with capacitors close to the CPU socket. 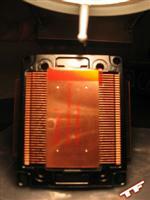 A word about the base: there is a protective sticker covering the base which is to be removed before installation. Removing the sticker is fairly easy, but it leaves a goopy residue all over the base's surface. After applying a combination of rubbing alcohol and goof-off, I managed to get all of the residue off, but it certainly wasn't a welcomed task. Installation of the 947U was fairly easy, but that is probably due to my previous experiences with heat-sinks involving back-plates. While installation of the 947U may have been an easy task, it isn't as simple as one might expect, especially because ThermalRight failed to include an installation guide along with the 947U. Luckily, ThermalRight has two detailed drawings ( 1 | 2 ) located on their website. During the installation, I ran into a one minor problem. ThermalRight includes five motherboard standoffs, you only need four; unfortunately for me, only three would fully screw-in. The fourth would screw in about half-way, and eventually required pliers and a bit of force to get it fully screwed in. After the back-plate is installed, the rest of the installation is smooth sailing. Position the 947U on the four standoffs and then screw it in using the four provided spring-loaded screws. Attach the fan of your choice and its respective fan clips and you're set to go. Total installation time for me was about 15 minutes. 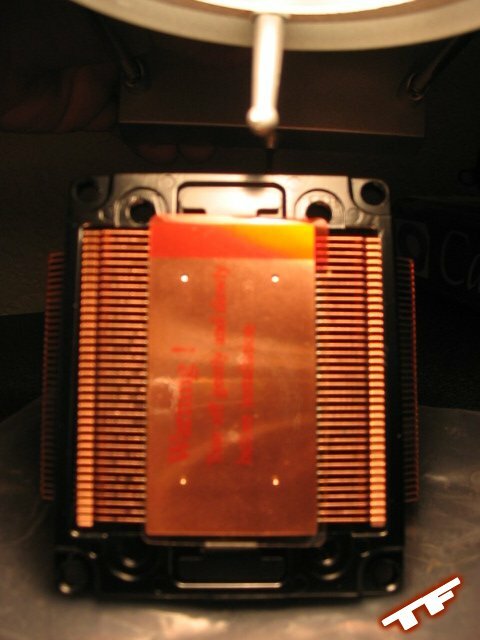 However, to install this HSF, you will need to be able to pull out your motherboard, meaning disconnecting all cables, expansion cards, etc; which can greatly influence the time spent installing the 947U. To maximize the 947U's full potential, I used the Zalman ZM-F2 92mm fan which pushes 36CFM at a quiet 20dBA. The competition is my previous Socket A cooling solution, the Thermaltake Volcano 11+ w/ an 80mm SmartFan rated at 75 CFM at a ear ringing 48dBA. The test system is listed below and the ambient case temperature is a cool 84°F. Idle temperature was taken an hour after bootup into Windows, load temperature was taken after running StressPrime 2004 for an hour. At load temps, the 947U edges out the 11+ by 5°F and while the temperature margin is only 9°F at idle, there is a night and day difference between the noise levels (20dBA compared to 48dBA). 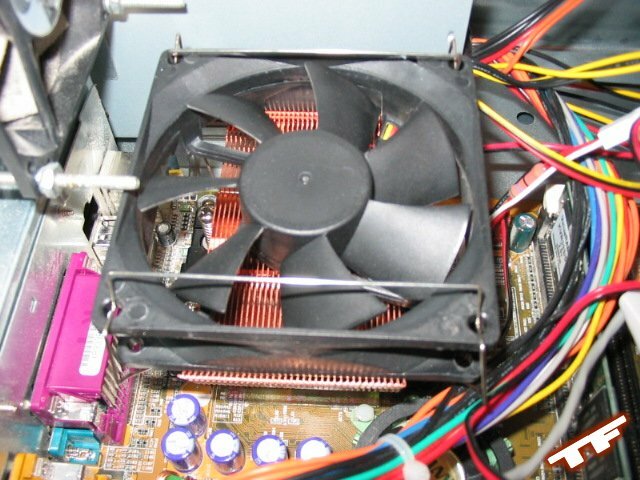 The SmartFan pushes ~12CFM more than the Zalman, yet the 947U's temperatures were always cooler. 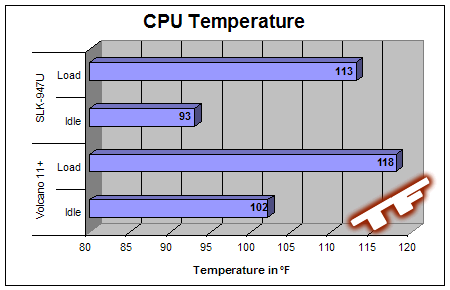 Not to mention the Athlon XP line of processors seem to enjoy heating up, luckily the 947U was there to keep the processor in check. Once again, ThermalRight has proven why they are they are the best in the business. With a slightly hefty price-tag of about $30 - $40, the ThermalRight SLK-947U is a superb heat-sink. I am very impressed with the 947U's performance, with a silent fan it already crushed the competition, I could only imagine what kind of damage it would do if I were to attach a Delta or Tornado. Currently, the cheapest price I could find for the 947U is $34 from Jabtech. 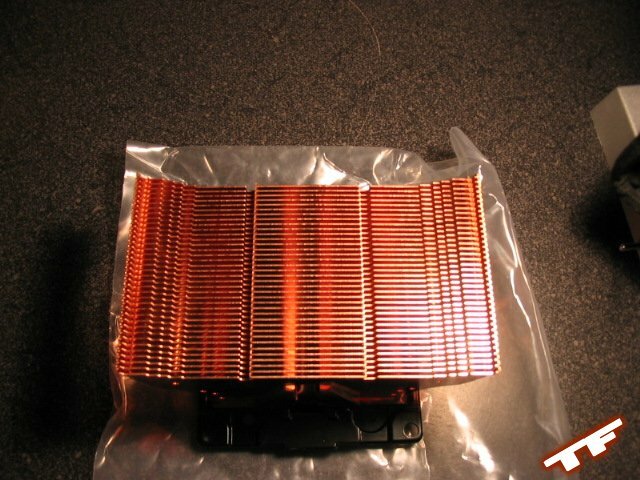 Please remember that the SLK-947U does not come with an included fan, in which I would recommend a 92mm fan of your choice; if you're going to purchase a 92mm capable heat-sink, you should very well use the cooler to its full potential. As you can probably tell, I prefer quieter fans because I value my hearing.